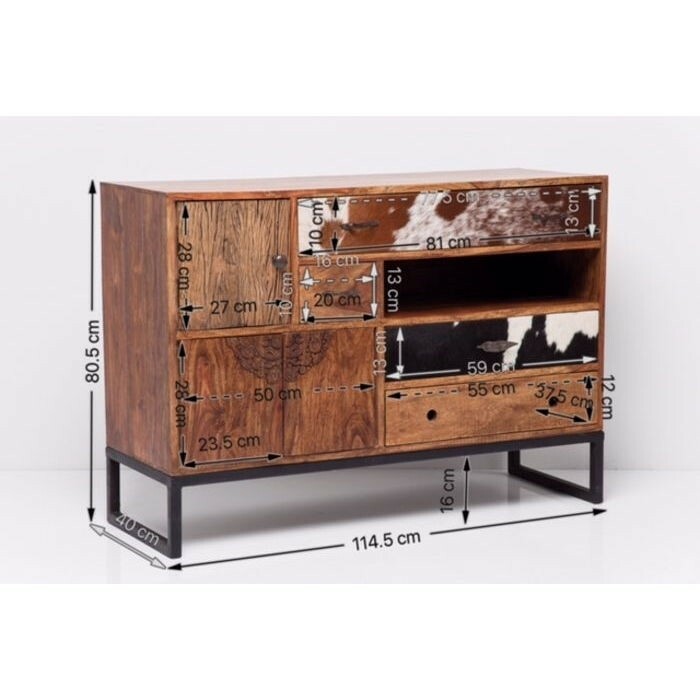 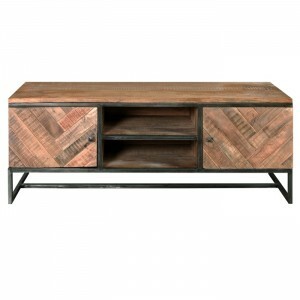 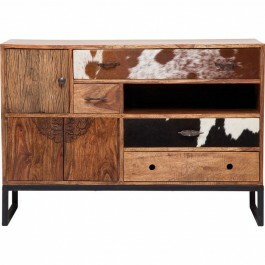 Cowhide trims and intricate carving, in modern industrial design. 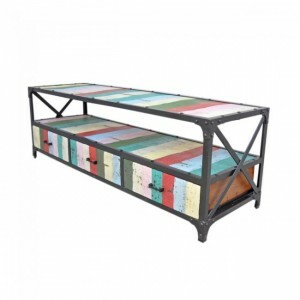 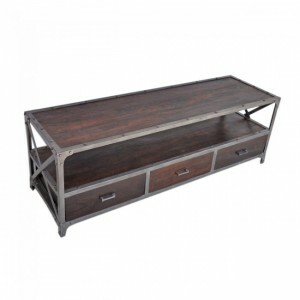 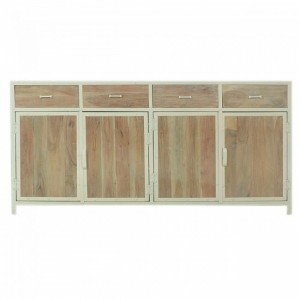 - Declutter with ample storage space. 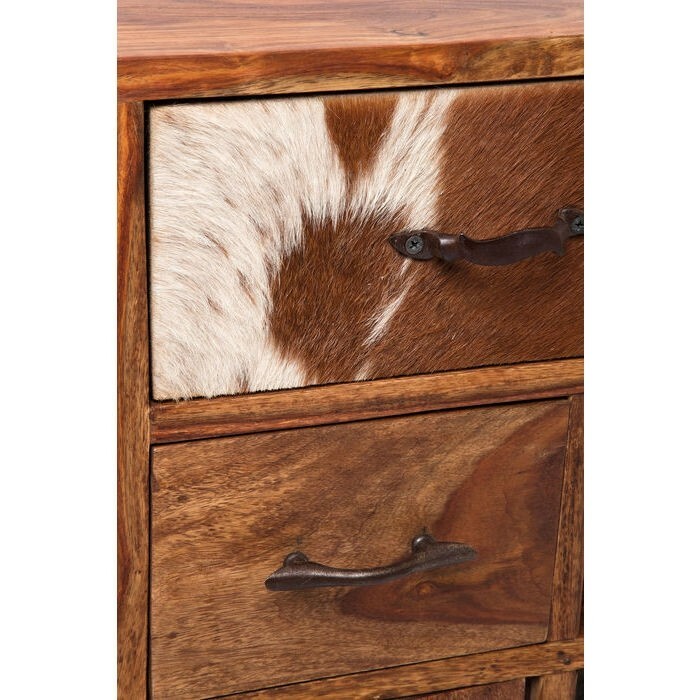 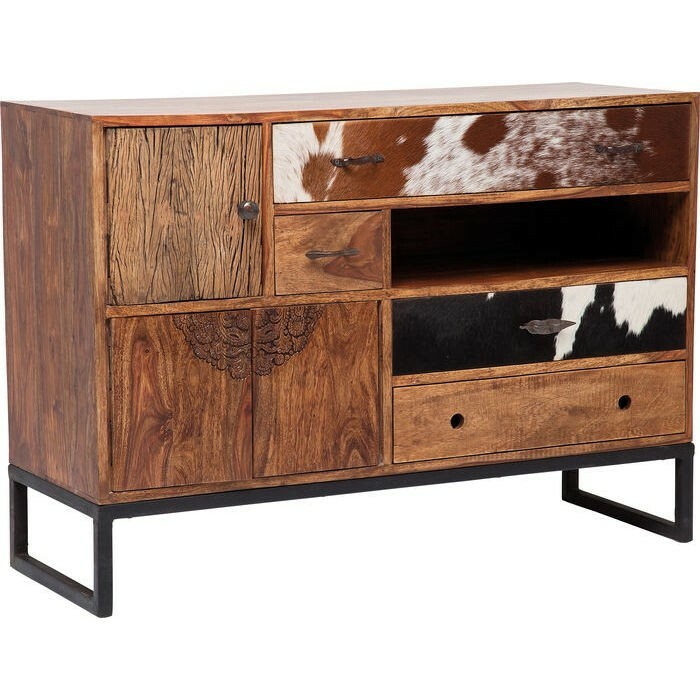 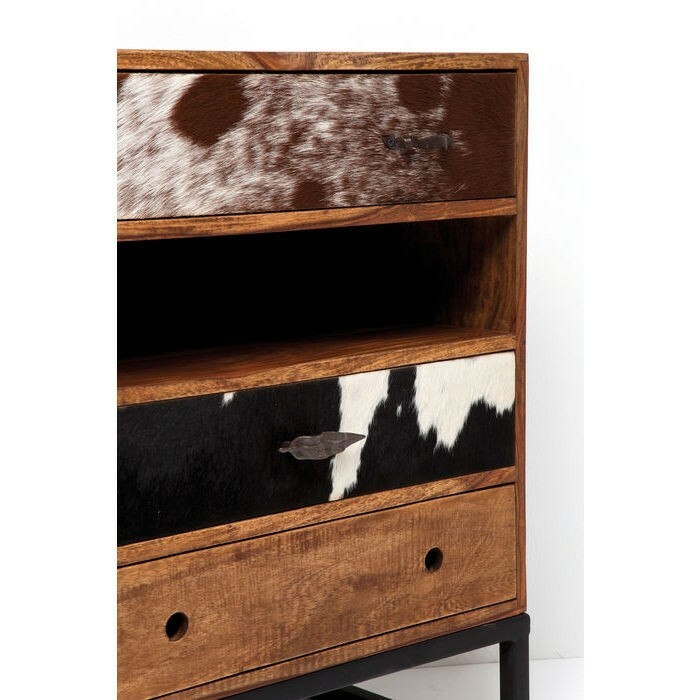 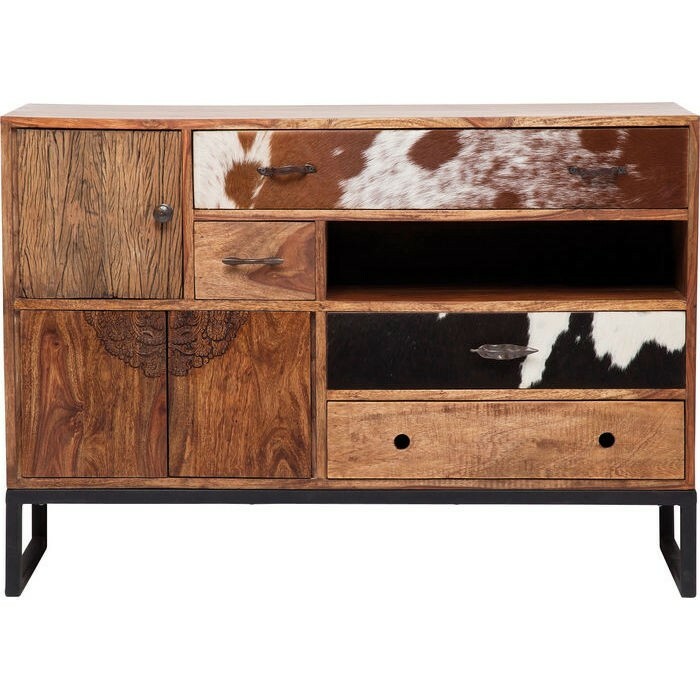 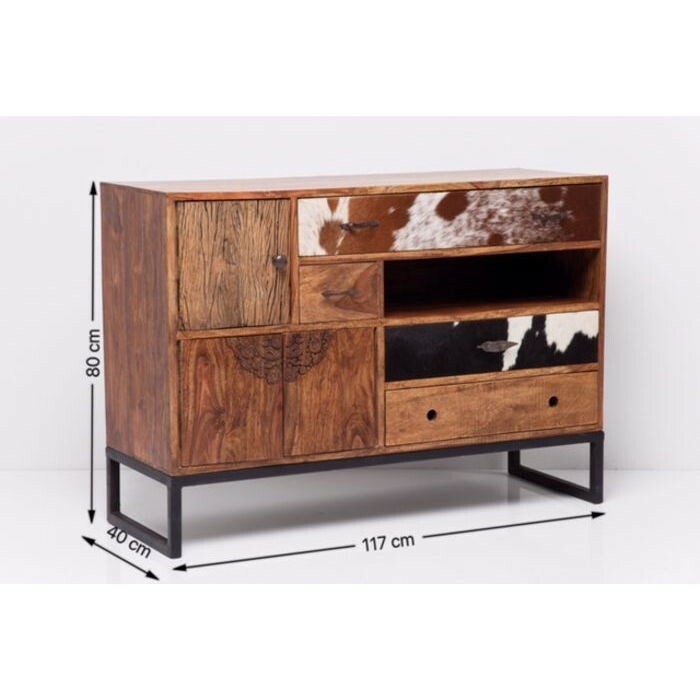 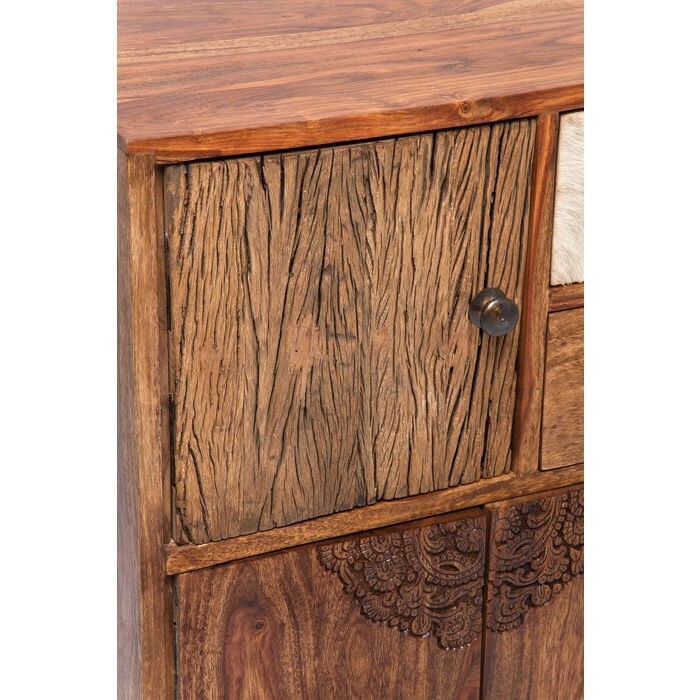 - Cowhide front on drawers.